Sagatom Saha is an energy policy analyst and former visiting fellow at DiXi Group, a Ukraine-based think tank focused on energy-sector analysis. Ilya Zaslavskiy is the head of research at the Free Russia Foundation and a member of the advisory board of the Hudson Institute’s Kleptocracy Initiative. At this crucial moment of Russian aggression in the Kerch Strait and the five-year anniversary of the Euromaidan Revolution, there is much U.S. policy makers can do to help the country make further progress on its energy reforms. Ukraine will ultimately decide its own fate, but the United States has a strong interest to support an emerging regional ally in three ways: increasing diplomatic pressure, providing technical assistance, and offering financial support tied to specific reforms. 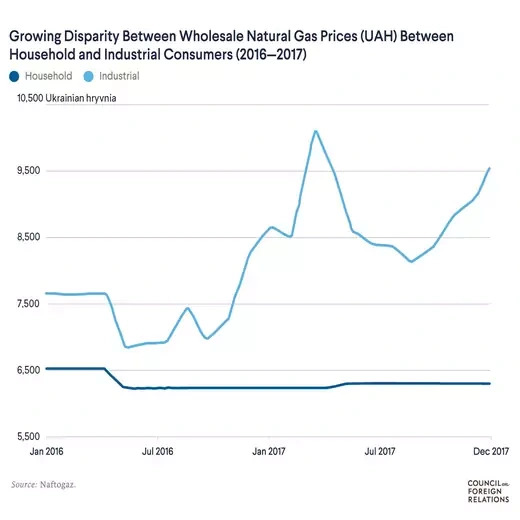 Inefficiency, corruption, and lack of transparency continue to hamper Ukraine’s natural gas sector. Going forward, Kiev would benefit from advancing energy reforms that would completely eliminate population-wide subsidies. It also needs to complete necessary reforms to attract foreign investors so that Ukraine can produce more gas domestically. The alternative, ceding to populist pressure and oligarchic influence would limit economic growth and risk return to dependence on Russian energy supplies. The choice it makes will determine the fate of the country’s energy and economic security for years to come. Stakes are high since former Prime Minister Yulia Tymoshenko, who now leads polls for the upcoming March 2019 presidential elections, has centered her campaign on a vow to reinstate subsidies. Observers worry that, unless Ukraine makes substantial regulatory changes in its natural gas sector, Russia could again exploit corruption to subvert Ukraine’ sovereignty. In a paper published by the Council on Foreign Relations, we urge Kiev’s executive and legislative branches to depoliticize natural prices, firmly establish regulatory independence, and carefully dismantle energy-sector monopolies, while judicial branch create a predictable and fair environment for all potential investors. 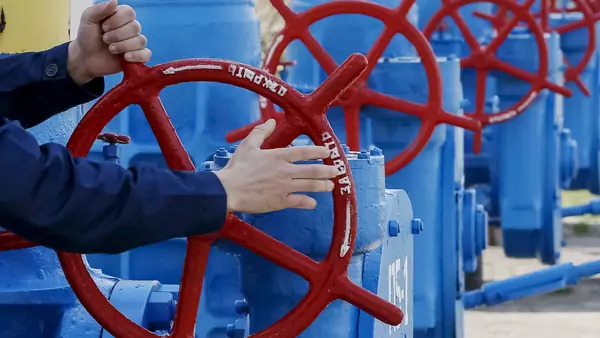 For its part, Washington should make this energy reform a priority in its bilateral relations with Kiev, showcasing to Ukrainian and European investors, among others, to promote development of Ukraine’s domestic natural gas sector. To demonstrate seriousness, Washington should closely coordinate with the IMF and other Western donors for more stringent compliance for loan disbursements and extend its targeted sanctions program against Russian oligarchs to the corrupt Ukrainian ones as well. Second, the United States should pair increased pressure with regulatory and legal assistance. Specifically, Federal Energy Regulatory Commission, the Department of Interior, and State Department should step up their work with Ukrainian partners to design strong, independent regulatory agencies, formulate simplified licensing procedures, and share the know-how needed to develop shale gas resources, collect royalty revenues, and combat corruption. The United States and European allies benefit when Kiev is a self-reliant, energy-secure Ukraine, capable of standing up to Russian interventionism. Supporting Ukraine’s energy reforms is a low-risk, high-reward strategy for Washington to counter Moscow’s influence at NATO’s border without overcommitting to military options that are not feasible in the region. Completing reform will also enhance unity within the EU Energy Union and integrate Ukrainian gas production, storage, and transit assets into the EU market. With sustained, considered U.S. support, Ukraine can reform its inefficient gas sector into an engine not only for its own economic progress and security, but for the whole of Eastern Europe. A version of this post first appeared on the Atlantic Council’s EnergySource blog.